You’re invited to our GRAND REOPENING worship gatherings on Sunday March 3, 2019 at 9:00 AM and 10:45 AM. Both gatherings will feature dynamic worship, engaging teaching, and a fun kids’ ministry from birth to fifth grade. We’ll also have bounce houses for kids, food for everyone, and corn hole on the quad between the services. 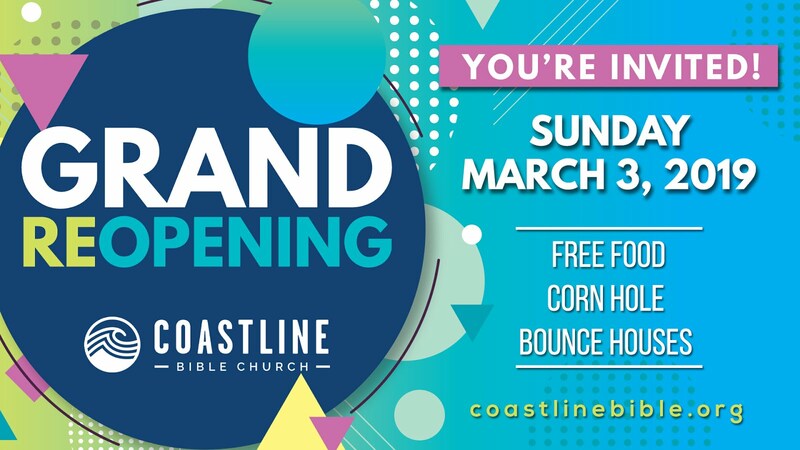 Coastline opened its doors in 1922, and for nearly 100 years has faithfully communicated and demonstrated the love of Christ both locally and globally. The past several months we’ve seen God do a new thing and move in fresh ways in our faith community. People are finding hope in Jesus, experiencing belonging through community and receiving guidance for life situations. We want you to experience this too! Join us at our Grand Reopening! We’re putting on a big celebration to let our city know that there is a place they can come to find community, ask tough questions, and discover hope through the truth in the Bible. Everyone is welcome! 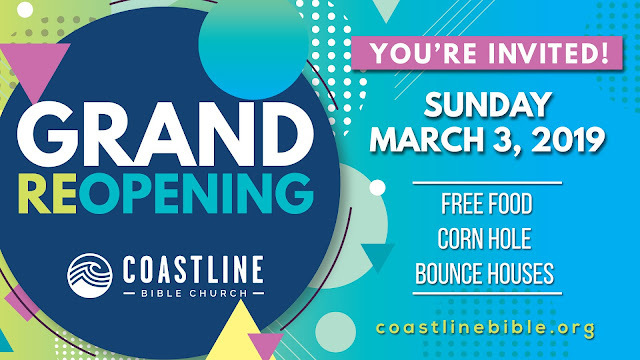 We can’t wait to see you on Sunday, March 3!